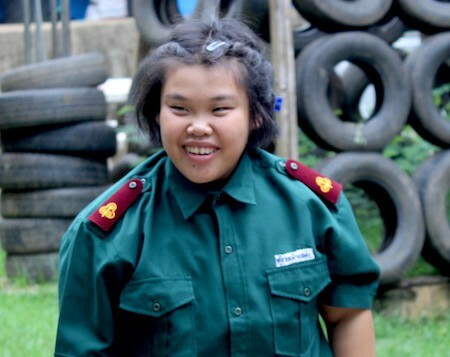 Nuey Sutinan is a jokester and wherever she goes, laughter trails after. 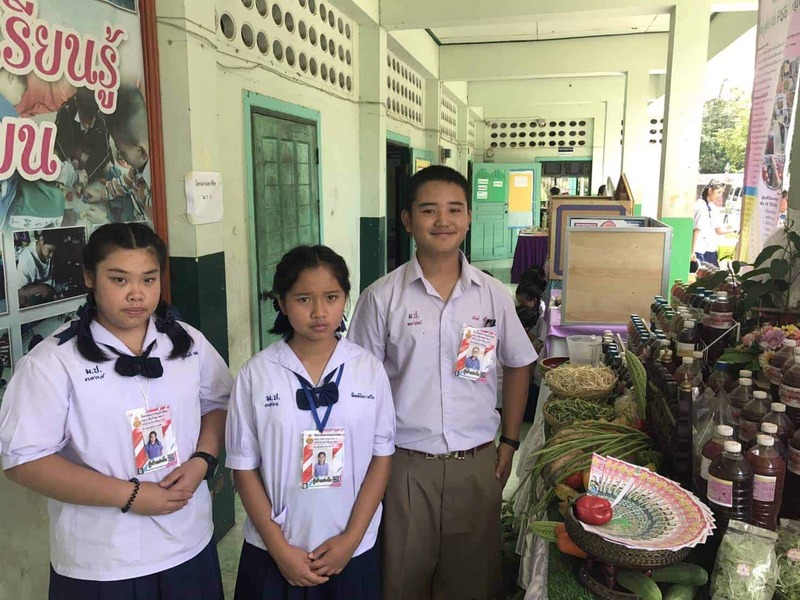 She may be the youngest of three children of poor, subsistence farmers in the Karen Hill Tribe village of Mae Soon, but she’s not looking back. She loves math and already knows that someday she wants to be an accountant. 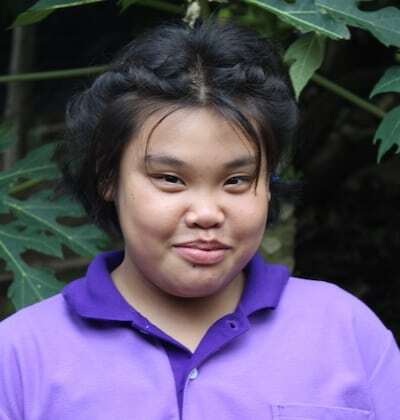 Of course, math does not take up all her time, and when she is not in the dining room studying with our math teacher, Leung Ead, she is in the library crafting or playing games. 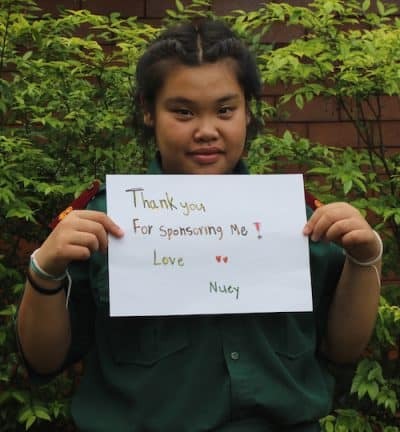 Nuey is finishing her second year here and has become a star at Warm Heart! She completed 8th grade with a big jump in GPA from 2.55 to 3.2 and 4 A’s. She was on the school team with two other Warm Heart kids and placed first in the Provincial science competition for their work on bio-organic fertilizers. She is the go-to for the other kids when they need help with homework and on the office computer helping them research and print their projects. Just for fun we asked our kids some questions. 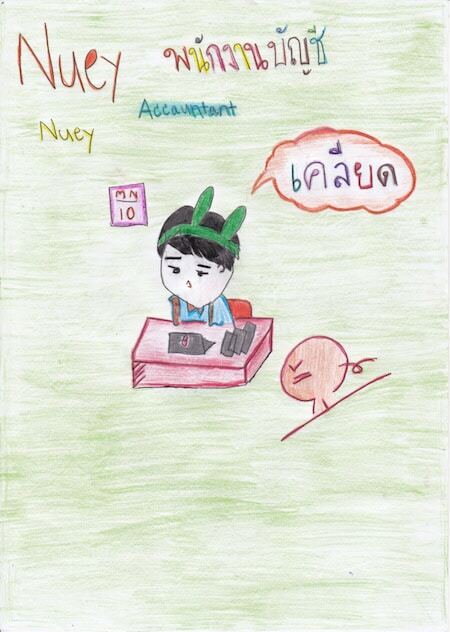 Below are Nuey‘s answers to some of the questions.